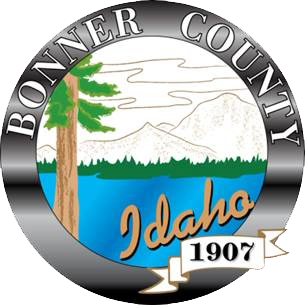 The Bonner County Board of Community Guardian is established by a resolution of the Bonner County Board of Commissioners March 2, 1993 pursuant to Idaho Code, Title 15, Chapter 5, Part 6 ; and pursuant to the determination by Bonner County Board of Commissioners that a need exists within Bonner County for guardians for persons in need of protective care. The purpose of this Board is to act as a guardian for incapacitated individuals in those cases where a person is in need of a guardian or conservator and there is no person or institution otherwise qualified and willing to act as guardian or conservator for such person. The purpose of the board shall also be to develop community awareness of the needs of incapacitated persons. The Board shall meet no less than once each quarter. The Board shall consist of not fewer than seven, or more than eleven members. The members shall be representatives of community interests involving persons needing guardians or conservators. No person shall be a member of the Board who is also an employee of the District Court or the Clerk of the District Court. The terms of members of the board shall be for four (4) years and shall be staggered. No person shall be appointed for more than three (3) successive terms or twelve (12) years on the Board. 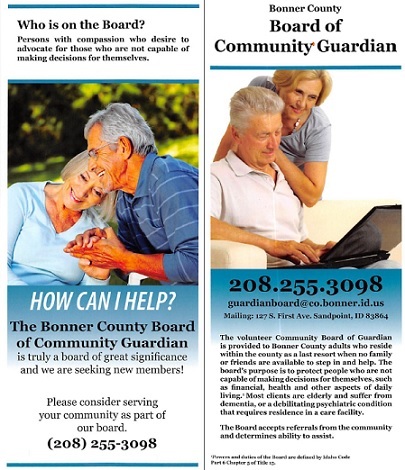 To apply for the Board of Community Guardian’s help, please fill out the Referral Form and send it to the contact information below.